How to choose the right salad oil? Salad oil is any kind of oil that you intend to use for cooking. In general, it refers to vegetable oils that has a light flavor. Peanut, corn, canola, and sunflower oils are examples of salad oil. If you have access to old recipes, you may find out that a long time ago, they usually call cooking oil as salad oil. Deodorization: the elimination of tocopherols, sterols, and phenols and other traces of compounds available during plant maturity as well. Salad oil has a very low viscosity with no odor or flavor. It has a very short shelf life and easily deteriorates when unprotected from heat or oxygen exposure. I do not recommend this oil for frying, cooking, baking or practically any process that involves heat. On the other hand, it is excellent for salad dressings, coatings, and snack preparations. Besides, salad oil is excellent for making several pourable and spoonful salad dressings like the favorite mayonnaise. It gives the salad a creamy texture and aids in blending the flavor of the dressings to the entire salad recipe. It coats all the salad ingredients as well and enhancing the delectableness of the food. It makes swallowing easier leaving a smooth taste to your palate. Do you know that your favorite mayonnaise has 80% salad oil in it? The oil enhances the cream’s thickness. You will learn that some salad dressings have an average of 35-50% oil that aids in changing the taste of the starch taste into smoothness in your mouth. Although picking the right kind of salad oil depends on your own taste, you can actually buy any edible vegetable oil around that has labels for salad dressings and sauces. Remember that salad oils do not have any solid crystals that will become waxy and dense when chilled. Hence, salad oil is definitely not under the category of culinary oils blended with natural herbs, spices, and liquids. Otherwise, the flavor will dominate, and you will not meet your recipe’s taste expectations. Now you know that salad oil refers to the type of oil that will not influence the recipe’s flavor. Extra virgin oils and nut oils are examples of strongly flavored oils. Using strongly flavored oils is not a good idea when making any recipe. If you do not want to compromise the taste of your recipe, I suggest using salad oil. It is a healthy and delicious addition to your diet. If you are fond of making your own salad dressing, then I am confident that you are already familiar with this. 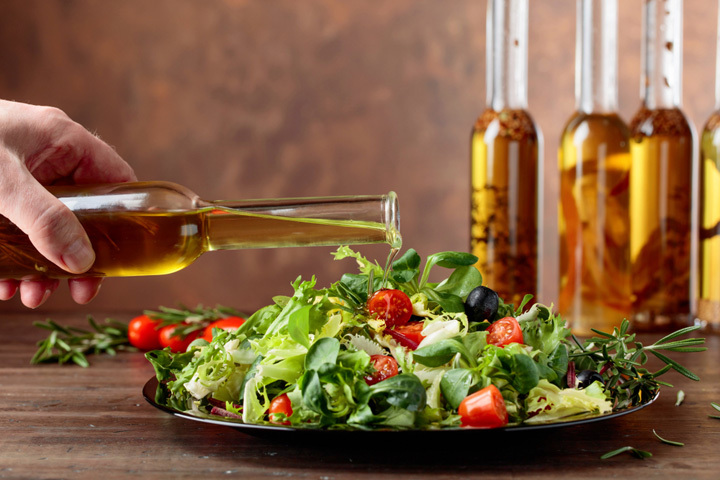 What makes salad oil healthier than any other oil? Salad oil has a high level of monounsaturated fat (oleic acid) and polyphenols. Because it has high oxidative stability and contains antioxidants, phytochemical, and alpha-linolenic acid, it indeed is a better choice than any other kind. Excellent sources of these are olive, canola, peanut, avocado, and almond oils. 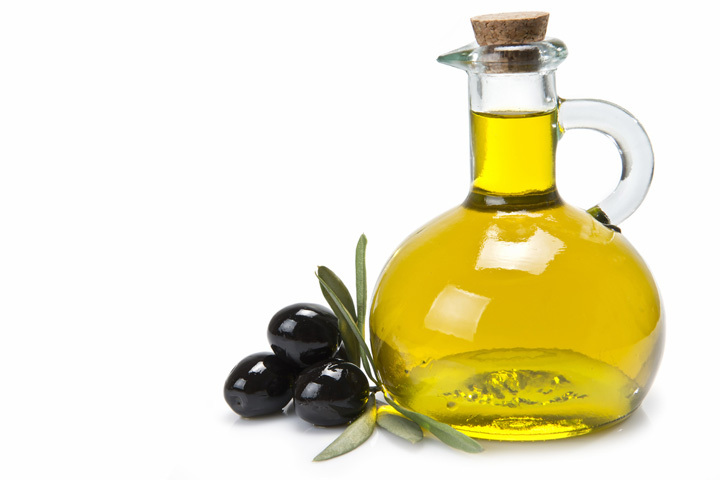 Olive oil has the highest level of monounsaturated fat, being 77% of its total fat resulting from this kind. In fact, it now garners the attention of scientists who are interested in finding ways to lower blood pressure and blood cholesterol. Besides, widening blood vessels, avoiding blood clots, and lessen inflammation in our body are just some of the health benefits that you can harvest from salad oil. If you want to know the top healthy oils for salad dressings, below are the choices. Take a pick! Grapeseed oil is rich in vitamin C, E, and beta-carotene. Sesame oil contains antibacterial properties and the antioxidant phytate. Walnut oil contains minerals like zinc, magnesium, and potassium. Safflower oil is healthy for the heart. Coconut oil increases good cholesterol. Canola oil has a high level of Omega-3 fatty acids. Avocado oil contains protein and potassium. Almond oil is good for the hair and skin. Keep in mind that proper storage for salad oil helps in maintaining its subtle flavor, color, and health benefits. Remember that it easily spoils when exposed to unfavorable conditions. I advise you to store it in a cool, dark area, inside a tightly sealed container. Did you run out of salad oil? Do not worry; I am in that situation many times. Plenty of substitutes are available out there, but I recommend yogurt as a priority. Yogurt has saved me multiple times. You may find it hard to when it comes to ratios at first, but once you mastered it, it will be a piece of cake. It always depends on how you mix the yogurt into your recipe. It either improves the texture of your salad or the other way around. However, yogurt has plenty of nutritional values and is a perfect alternative for salad oil. 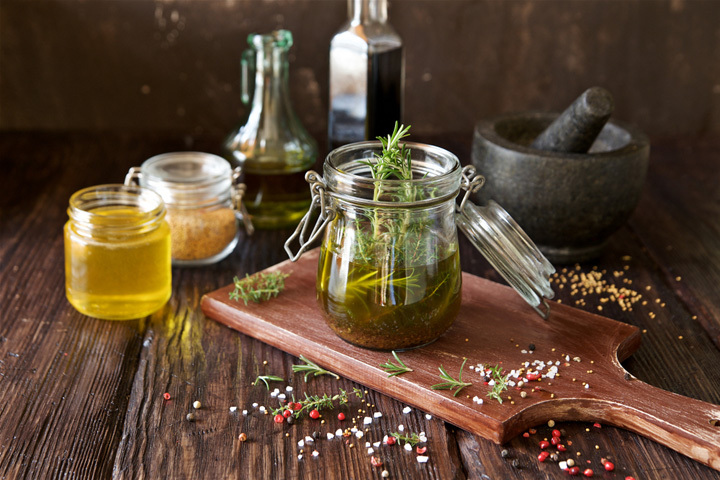 You are now well acquainted with salad oil, so, using it for your recipes will be a breeze. Let me share with you some simple but delicious favorites that I have been making all these years. Homemade salad dressing does not only come in handy during special occasions, but it also saves you some cash. Besides, you have control over the ingredients and make it as healthy as you can. Gradually pour in the salad oil stirring while doing so. Mix it well! Serve with lettuce, chicken dishes, and asparagus. Here is another version of homemade Caesar dressing. Enjoy! It is quite simple! Shaking is the key. Put all ingredients in a container and mix it well. Cover the container and shake it vigorously to blend everything. Put the chopped onion and cucumber into six cups of water and let it boil to cook. Add the chopped tomatoes. Put the cooked onion, cucumber, and tomato in a blender before running the mixture through a filter. Add all the toppings into the soup. It would be great to add ice cubes and mix well. Prepare the cucumbers by slicing it lengthwise, making it easier to take out the seeds. Cut it into thin slices. Mix salt, sugar, and vinegar in a mixing bowl until dissolved. Add in the cucumbers and the sesame seeds. Toss it well to combine completely. Here is a video showing you how to make the Japanese cucumber salad with carrots! When your passion is with food and cooking, knowing the ingredients by heart comes out naturally. Being able to see the purpose and significance of salad oil in the culinary world, I admit it makes a big difference. Now that you discover what salad oil is, the answer to the confusion and questions are now clear. Do you already have a favorite among all the salad oils? I encourage you to make healthy food for you and your family. Our health is what we cook at home. That is, you are what you eat! Cheers! Read more: Can You Freeze Chicken Salad?